We will always recommend you to anyone that asks - you have all been awesome. "Ray came to give a quote and detailed options for the doors. I followed through on his suggestions and am extremely satisfied with the result. Thank you again for the quality of your service - it is appreciated. 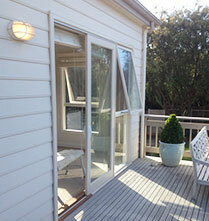 Raymond - thank you for the way you appreciated & ensured the windows were installed in the way I wanted them to be. 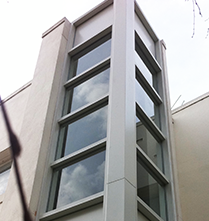 We specialize in the replacement of existing windows and doors in either aluminium or timber frames in residential and commercial properties in Melbourne: Houses, Apartments, Units, Flats, Town Houses, Shop Fronts, Factory & Restaurants. 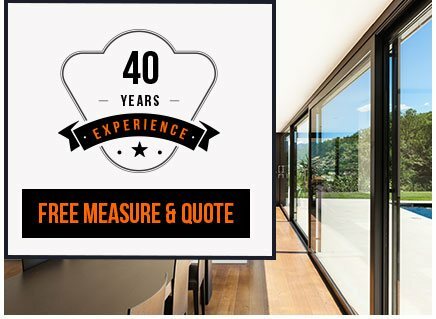 With over 40 years of professional experience we provide quality replacements that will transform your home or commercial premises with custom built aluminium and timber windows and doors. 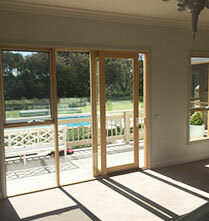 The Door and Window Exchange are the window and door replacement specialists in Melbourne providing expert advise on design, structural alterations and the most complimentary joinery for your needs. We are proud to offer free, no-obligation quotes and a 15-year guarantee on all work completed. 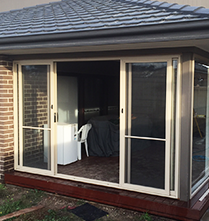 Based in Melbourne, we are able to offer our replacement windows and doors throughout metropolitan Melbourne as well as the Mornington Peninsula. Our replacement window styles include: Awning Windows, Sliding Windows, Fixed Windows, Casement Windows, Double Hung Windows, Bay Windows, Garden Windows, Hooded Windows, Single Hung Windows, Sashes, Sashless Windows, Colonial Windows and Architecturally Designed Windows. Our replacement doors include Shop Fronts, Sliding Doors, Sliding Double Doors, Bi-Fold Doors, Stacker Doors and French Doors. 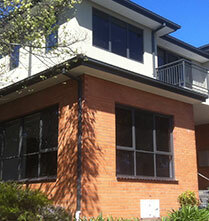 SERVICING the Melbourne Metropolitan area and the Mornington Peninsula. Melbourne metropolitan area including Bayside Suburbs; South Eastern Suburbs; Inner South Eastern Suburbs; the Central Melbourne Suburbs of Richmond, Albert Park, Middle Park & Port Melbourne; Outer South Eastern Suburbs; Eastern Suburbs; the majority of the Greater Eastern Suburbs (including Ringwood, Ferntree Gully & Rowville); the Frankston, Chelsea Region & surrounding suburbs; and all of the Mornington Peninsula (including Portsea, Sorrento, Mt Martha).